Flo . ra 1.) The plants of a particular region, habitat, or geological period, 2.) A treatise on or list of such plant life. 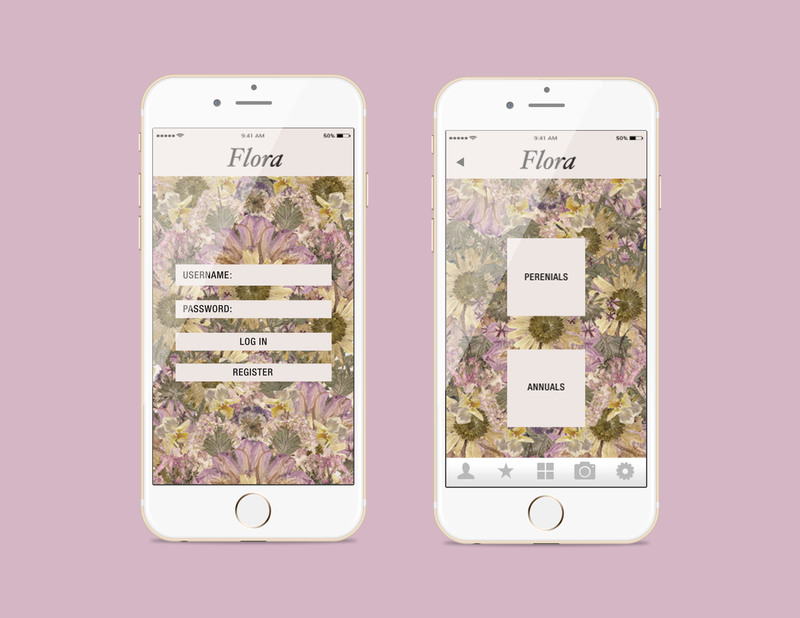 Purpose of project is to create a digital collection of flowers & design the user interface as well as the experience around its structure. There are 266 perenial plants of top variety that are known to grow bigger and better year after year. There are 146 annual plants that are quick and easy to find and fill your garden with rich colors. 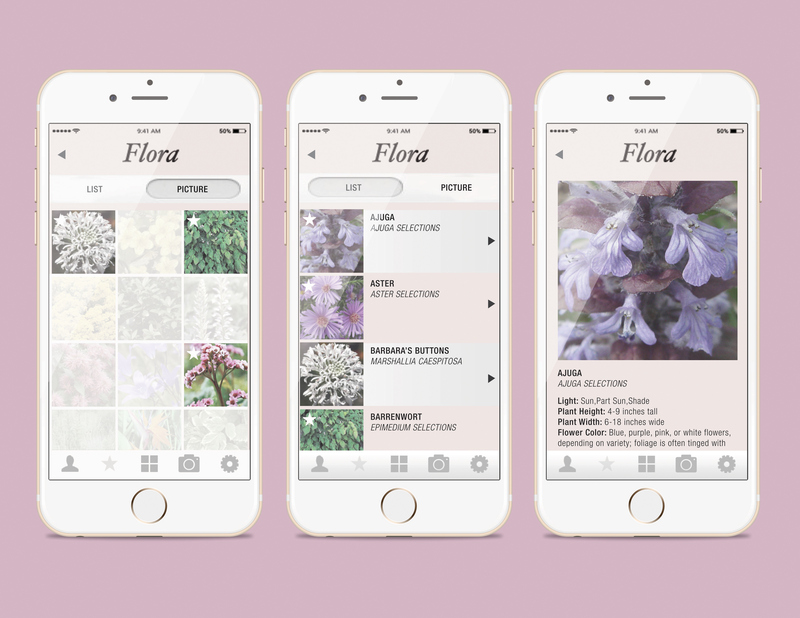 This app introduces a simple and easy way to educate yourself on all types of flowers, giving descriptions of each flower. 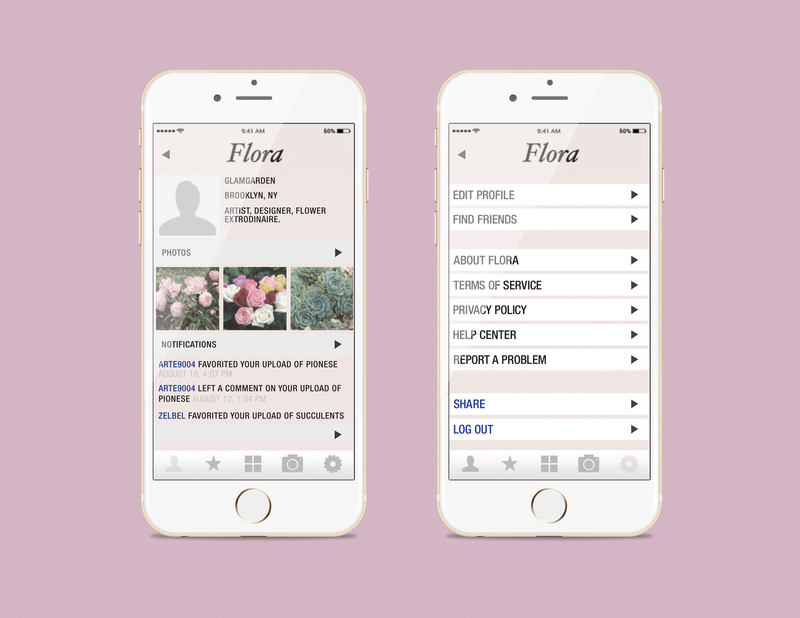 You are able to create a profile and share flowers you have taken photos, connect and follow other users, and leave comments under different flowers you find. * Greeting screen with loading icon. * Home login screen with the option of logging in with a username and password or registering. * Beginning with a screen of two options-- to browse perennial or annual flowers. Navigation bar at the bottom of the screen for fast control. * The browsing screen, where you can scroll endlessly and browse hundreds of flowers-- either perennials or annuals. 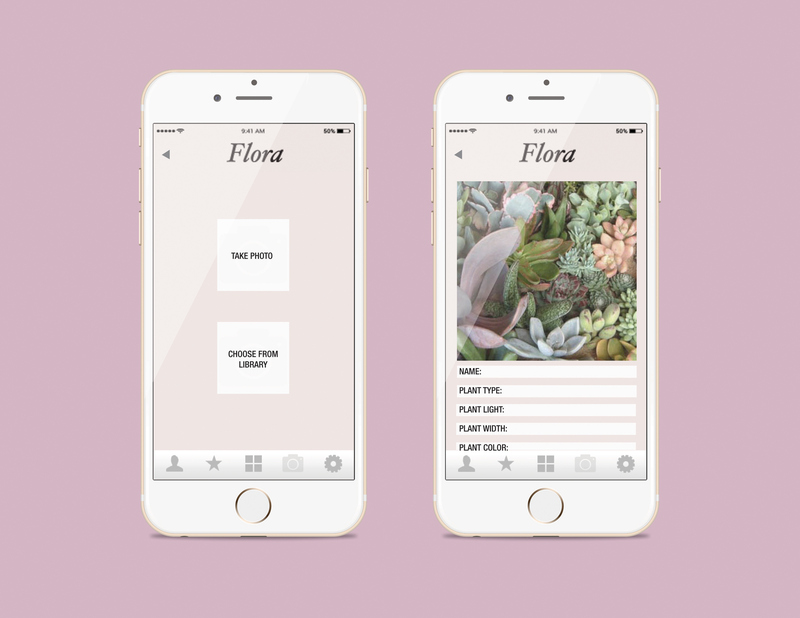 * A search option at the top that allows you to type in any keywords or flowers you would like to search for. 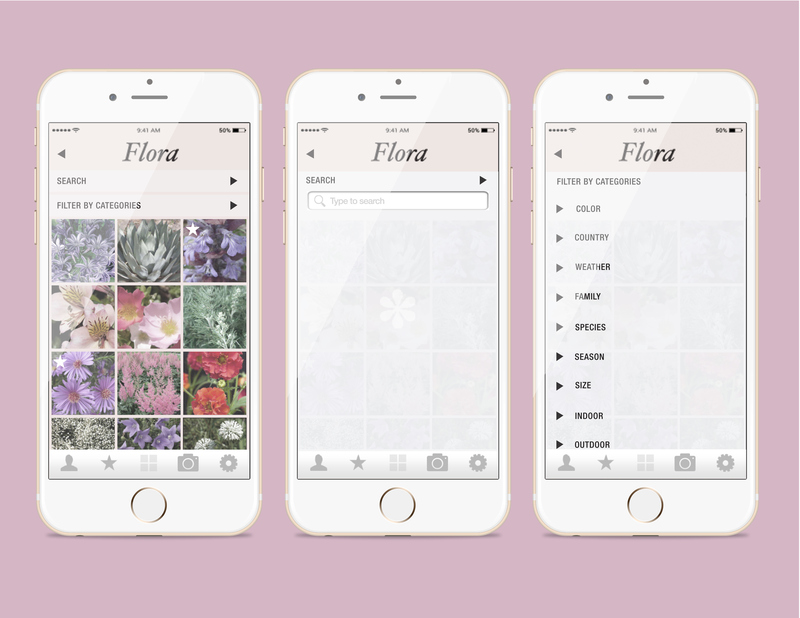 * Filter by categories allows you to filter through many types of flowers and search by different classifications. * A screen for your favorites, selected at the bottom navigation bar. * Your favorites are displayed either by a list or pictures. They have stars in the upper left hand corner to display them as favorites. * When you tap on any flower you are brought to their profile. It will bring you to their full image with more images, information about this flowers life, and other details. * Your profile can be selected on the bottom left navigation bar. This page has your profile picture, information about yourself, images you have uploaded, notifications, and friends. * You can select the setting page on the bottom navigation. Under settings you are able to edit your profile, find friends, learn more about Flora, read about the terms of service and privacy settings. You are also able to find help, report a problem, share your uploads, and log out. 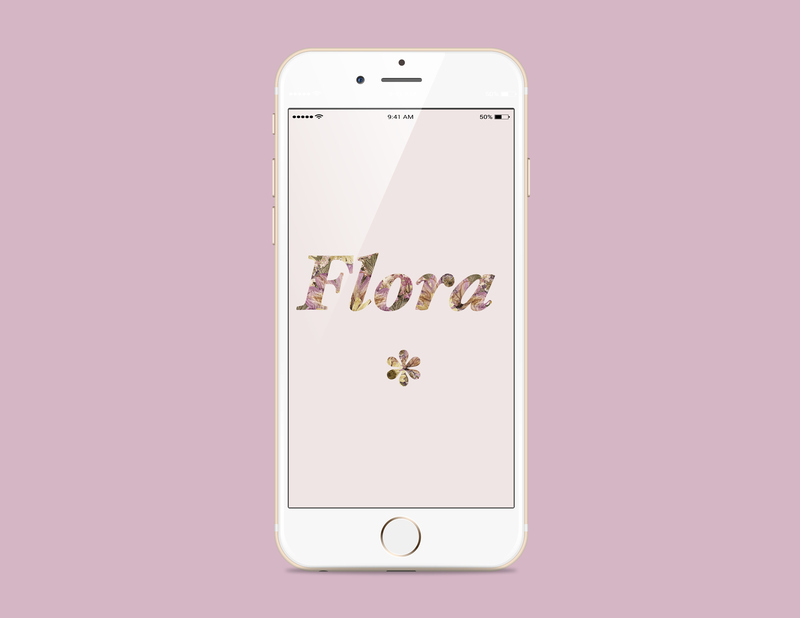 * An uploading page is available in your navigation bar at the bottom of the screen, where are able to upload any flowers or arrangements to your profile. You have the option of taking a photo or choosing from your library. * Once you have uploaded your photo you can go in and edit the page with details of the flower. You are able to add tags to each upload to make it easier for friends or other people to search any individual flower.